Many a director has attempted to adapt Frank Herbert's epic Dune novels for the big screen, with the only "successful" one David Lynch's divisive 1984 film. But it looks like Blade Runner 2049 director Denis Villeneuve is the guy who will get it done, perhaps because of his recent experience with cult sci-fi franchises, having already cast Timothee Chalamet for the lead role of Paul Atreides. 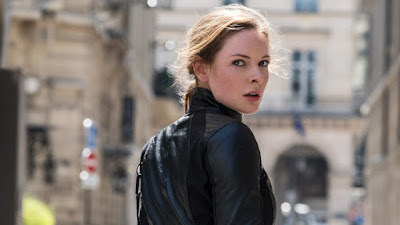 Now he may be adding another big name in Mission: Impossible-Fallout's Rebecca Ferguson. Ferguson is in talks to join the Dune cast, although her role is unclear at this point. Drawing from my limited knowledge, it seems as if Lady Jessica, the mother of royal heir Paul Atreides, caught up in a feudal war for control of the most valuable commodity in the galaxy, a drug known as "spice".